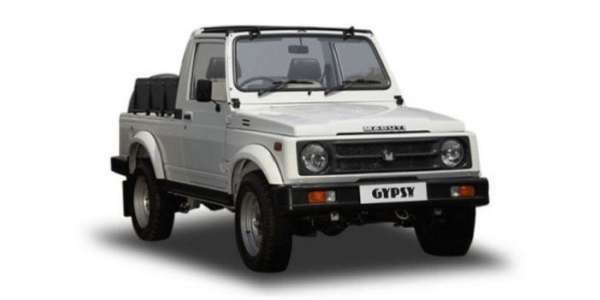 The Maruti Gypsy is one of the most loved and revered off roaders in the country. A lightweight, petrol engined go-anywhere vehicle, it is often called the ‘Mountain Goat’. And with a nickname like that, when it snows in the mountains and everything else gets shut down, the Gypsy comes out to play. In this video, the legendary Maruti goes for a stroll in the snow from Rohru to Kharapatthar, in the Upper Shimla region. The footage captures the magic of a perfect Alpine winter as the car drives through a white washed landscape. A modern classic, if you’ve always liked the utilitarian charm of the Gypsy, now is the time to get one for yourself. Why now? Because the three decade old SUV wouldn’t have complied with upcoming regulations and as a result, Maruti rung the bell for last orders in November 2018. If you’re lucky, they could still get you an example from the last assembly line run of this legend. On the other hand, the new generation Mahindra Thar is already in the works and it is wider, bigger and better than the model it will replace. If the current-gen Jimny will ever be sold here could be anybody’s guess. But if it does, we know many who will readily plonk down the cash for one. We’ll bring you updates on any chirping that happens around that. Until then, stay tuned! All Credits to Himalayan Roads on YouTube for uploading some amazing content.